Searching videos in YouTube and you will find there are increasingly large numbers of audios appearing. Are you eager to download songful YouTube audio, music, audio books then for learning enjoying or making them into the ringtone for iPhone 6s/Plus? Or, if you are only interested in extracting YouTube audio music from videos and 5KPlayer can be your ultimate solution. The Best Way to Download YouTube Audio Music – Only with 5KPlayer! 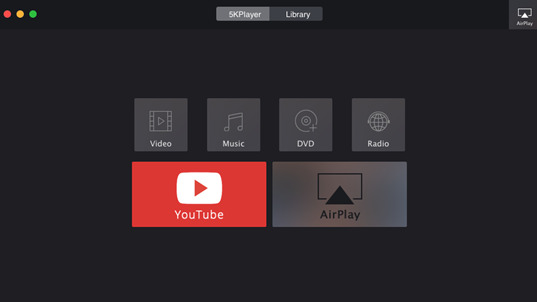 Equipped with the cutting-edge tech, 5KPlayer can provide you the ability to free download YouTube audio MP3 AAC and iPhone ringtone quickly and losslessly. Additionally, you are also able to download any video SD HD UHD from YouTube and other 300+ video sites and convert to MP3 AAC for playback on your iPhone 6s/Plus, iPad Pro/mini 4, android etc. It's totally clean and free. As the world's most popular video audio sharing site, YouTube is like a big community for everyone to find the trendy and amusing videos, hot music video audios and educational videos. However, the only drawback is that YouTube do not provide any access to rip and download YouTube audio video from the site. If we want to download music from YouTube, we need a professional downloader first. Luckily, there are various YouTube audio downloaders to meet our needs, and the most powerful and versatile is proven to be the 5KPlayer. Why choose 5KPlayer? First, with its state-of-art high-tech, it can analyze audio URL rapidly and steadily which is facilitate fast download YouTube music as well as download music audio from MP3 Skull, Soundcloud; without any third-party software, it's capable of batch downloading audio from YouTube in a time-saving way with the highest quality. Secondly, it's 100% free, clean and guaranteed not to contain any virus, spyware, malware or any unwanted software. In addition, this music downloader is able to download YouTube video to MP3, AAC format so that you are free to download YouTube audio video to iPhone 6s/Plus and Android phone. How to Free Download YouTube Audio MP3 Music? Step 1: Free download 5KPlayer. And launch it. As a free and clean audio downloader and player, the downloading process is pretty fast and safe. 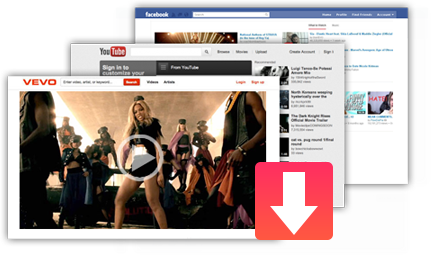 Only needs a few seconds, you are free to start the journey of downloading music from YouTube. Step 2: Copy the audio URL and Paste on 5KPlayer. Next, tap "YouTube" button on the main panel and then simply click "Past URL & Analyze", the URL will be analyzed automatically. Step 3: Click "Download" button to start free download audio from YouTube. After a while, the detailed information of YouTube audio will show up. So you are able to hit "Download" button to start download YouTube audio music for iPhone 6s/Plus. For your convenience, when downloading done, you can click "Convert" to convert YouTube video audio to MP3 AAC. After sync it, you are able to enjoy audio music on iPhone 6s/plus or other portable devices. 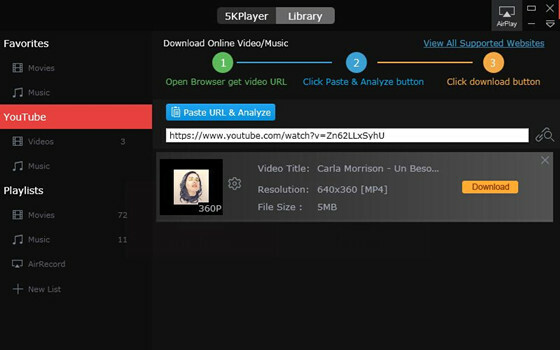 Anyhow, the video music downloader 5KPlayer fully supports your choices of free downloading YouTube audio video, playing 4K 8K UHD 1080p HD SD videos and DVDs, and even enables you to AirPlay on Windows system. Moreover, it also can help you listen to free internet radio online. Come and try this remarkable video music downloader and player now! Below is the simplest way that you may never have tried before to download and convert MP4 to MP3 in a click. Need the best free YouTube audio MP3 downloader to furnish high YouTube audio download quality and fast speed for you?